For more than 30 years, South Australian-based skincare brand, Jurlique, has been synonymous with natural, high-quality, botanical-based products. But three owners and a succession of leaders in recent years, along with six short-lived marketing chiefs and a few misguided assumptions about the brand’s strengths with a geographically disperse consumer base, led to inconsistencies in approach that impeded growth. According to chief brand officer, Andrea Martens, that’s all starting to change, thanks to a company-wide commitment to consumer insight and data-driven marketing, strategic brand thinking, and a healthy dose of creativity. 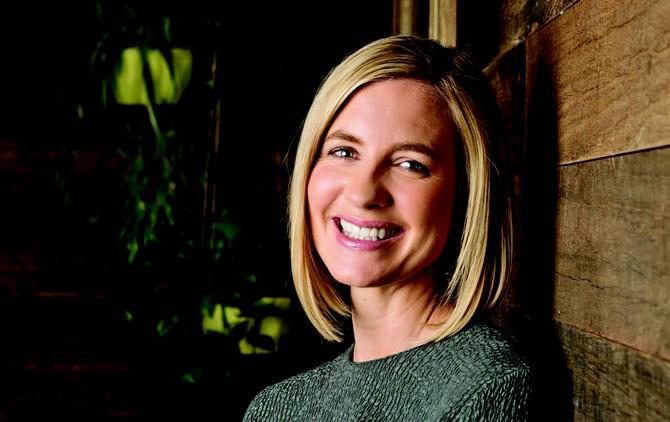 The former Unilever marketer and products manager joined 12 months ago to run Jurlique’s 55-strong global marketing division and drive growth across the 23 markets it operates in. Prior to this, Martens spent 16 years with FMCG giant, Unilever, working across four business units, ending up in a dual marketing and divisional leadership role overseeing personal care products. Her resume is a lesson in cross-industry marketing experience, including roles at GlaxoSmithKline and FH Faulding, and covering brands such as Children’s Panadol, Banana Boat, Neutrogena, Dove, Omo and Streets. The three or four key strands inherent to brand success originate from Jurlique founders, Dr Jurgen and Ulrike Klein, Martens says. These include its natural ingredients, origins in the fields of South Australia, consumer proposition around skin as well as emotional benefits, and the unique processes used to make the range. The first task was investing in Jurlique’s consumer insights program to understand more about those using its products, and those that didn’t, across target markets in Australia, Europe and Asia. The company commissioned research around 2000 consumers in Australia and China including age, interest, income and brand perceptions. Martens also took members of her team to key markets to immerse themselves in the consumer. “Bringing the consumer into the centre of decisions is critical and one of the first things we had to do. That was a complete change for the business and for the team,” she says. The research program showed beauty rituals across geographic markets are quite extreme. “You have Australians that have a three-step process on a good day, then you have the Japanese who go between an eight and 13-step process, for whom the beauty ritual is a moment of mindfulness, and something they pass on to their daughters with honour,” Martens says. It was vital to gauge the strategic challenges by market, so Martens initiated Jurlique’s first brand health index. “That gave us a good indication through the pyramids we built, but also through the Net Promoter Score, showed our detractors, and what’s stopping us from unlocking the potential,” she says. “For the first time, not only were we working with quantitative numbers, we were also working with really clear, qualitative insights on what is the potential for the brand, what we need to tap into and where we focus our energies. To ensure insights are shared and actioned, Martens appointed a head of global insights and trends. Martens’ other priority has been the operational fundamentals of a business that grows the majority of what goes into its product range. “What plants we need to be growing, at what point in time we make those decisions, and what does that actually deliver to our consumer in terms of efficacy, is important,” Martens continues, adding Jurlique is investing in a new factory with second R&D facility. One of the biggest challenges as a marketer is you can easily get tactically distracted, Martens says. “You have to deliver results – that’s the reality,” she says. Different organisations are comfortable with different levels of risk, and when you’re taking a brand on a journey such as the one instigated at Jurlique, storytelling and explaining ‘why’ is really important, Marten stresses. Martens is particularly keen to foster diversity of thought. “We need to generate a different perspective to ensure there’s great debate and we can learn from each other,” she says. To help, Martens is compiling a development program incorporating internal and external training and insight. She’s partnered with several leaders in their field, including Mark Ritson for brand expertise, and Paul Mitchell for leadership, and ran a one-week program for marketing and market leads that incorporated brand building based on brand health data. “Staff had to build their own pyramid with 250 Excel spreadsheets, and really analyse what’s going on in their market,” she explains, adding marketers now base every decision and brief, including its 14 rolling campaigns, on consumer insights.